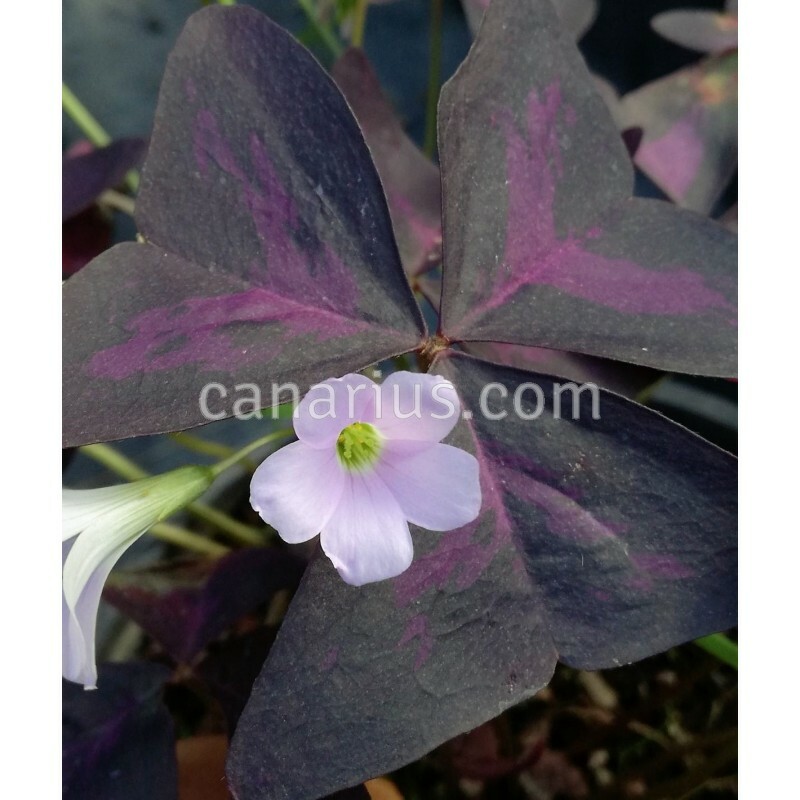 The most colourful leaf in the genus Oxalis! Three bright colours show up in one plant: each leaf has two colours: pink-purple and blue-purple, and flowers are pink. This species is native to southern South America and it is almost evergreen. It takes short light frost if kept in draining soil. It looks nice in individual pots or a standing-out fill-up groundcover.